♣ TRAINING MODE Improve your strategy by choosing your casino rules, initial bankroll and bet limits. ♣ CHALLENGE MODE Try to win 10,000 chips starting with only 50! When playing BlackJack, it's better focusing on the cards! 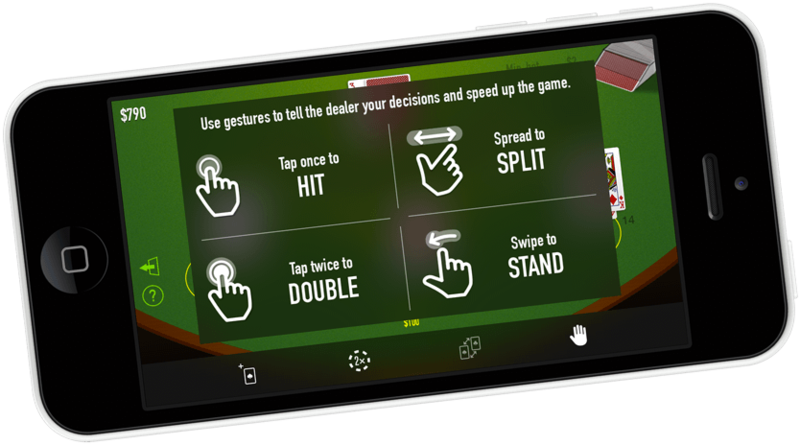 With BlackJack Challenge, simply use intuitive gestures to tell the dealer your decisions, just as you'd do at the casino. You can play up to three hands at a time. 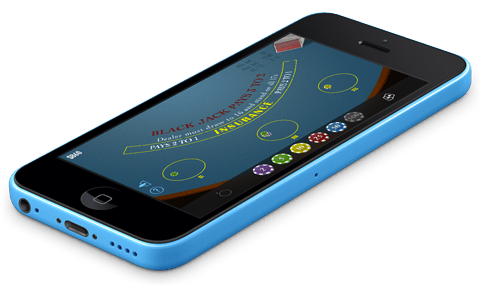 BlackJack Challenge features clear retina graphics and simple but efficient animations and sounds so you can dive into the game quickly. 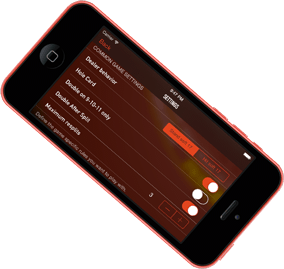 Game screens and visual effects are optimized for iOS 8 & 9. The game is available in English & French. 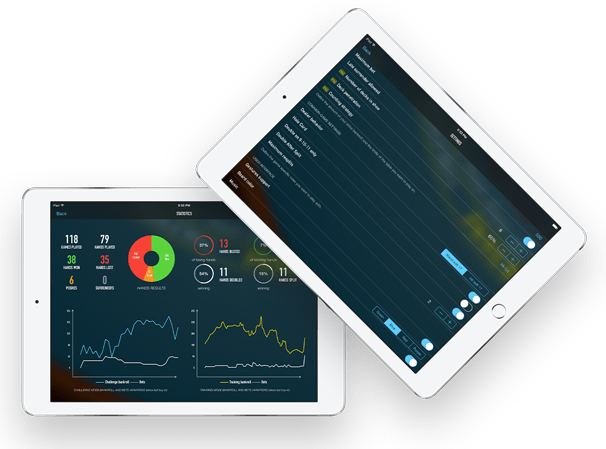 The app is compatible with all iPad and iPhone models from 4 to latest 6S. BlackJack Challenge automatically uses your local currency for figures. PRO version is free of ads. © Copyright 2014-2019 Benoît Gourdin. All rights reserved.